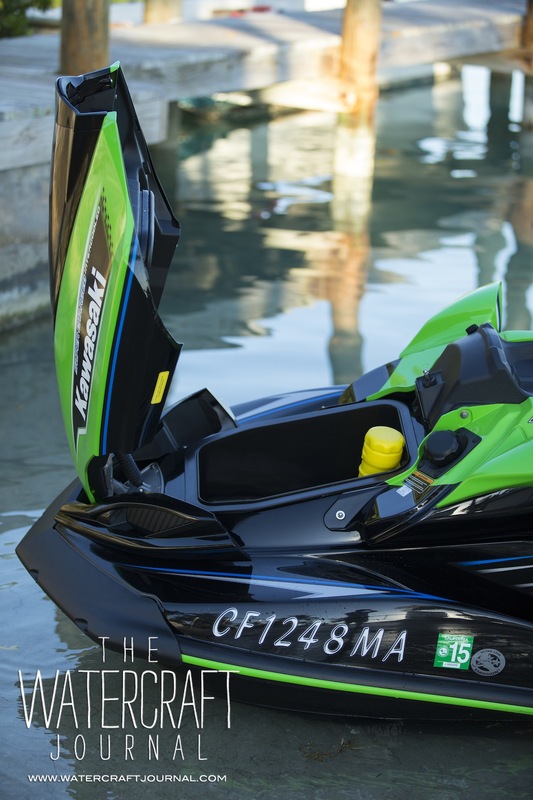 Pitch Perfect: 2014 Kawasaki Ultra 310R JetSki | The Watercraft Journal | the best resource for JetSki, WaveRunner, and SeaDoo enthusiasts and most popular Personal WaterCraft site in the world! 2014 marks the 40th anniversary of Kawasaki’s JetSki. 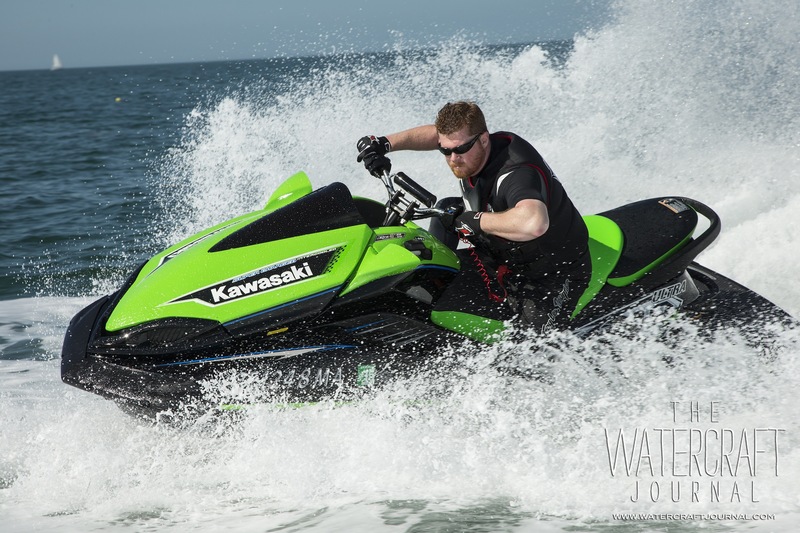 The 310R comes after years of consumer input and is designed for those offshore and endurance riders. Decades ago, celebrating in the end zone wasn’t an illegal offense. Players crossing that final yard line regularly danced, gyrated and cartwheeled in elation before their felled opponents. Today, a whole generation of football players and fans have been raised thinking that such behavior is the height of bad sportsmanship. So when Kawasaki announced the arriving Ultra 300X’s output had increased to 310, many considered it akin to spiking the football. Moreover, the podiums of every single offshore championship featured nothing but Ultra 300Xs in 2013. 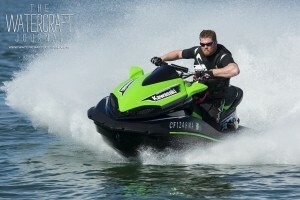 Even last year’s Pro Stock Runabout class champion of the UWP-IJSBA Watercross Tour was a 300X, besting both Sea-Doo and Yamaha’s close course darlings. 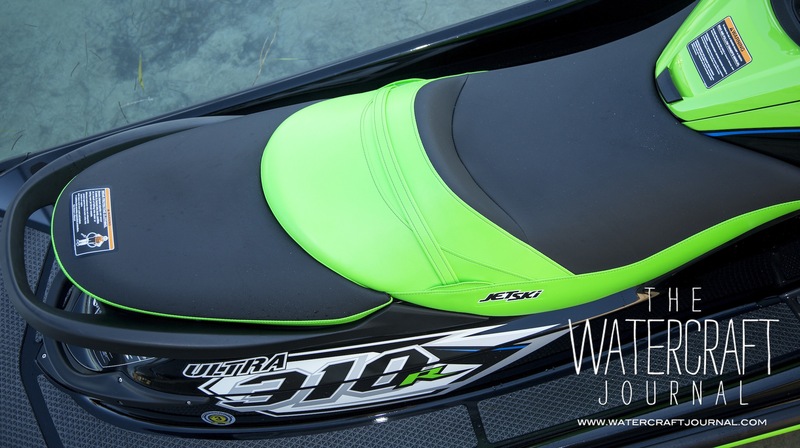 The previous iterations of the Ultra were all stepping stones to the 310. For those willing to look, the modifications made to this year’s Ultra are the result of countless hours of polishing. 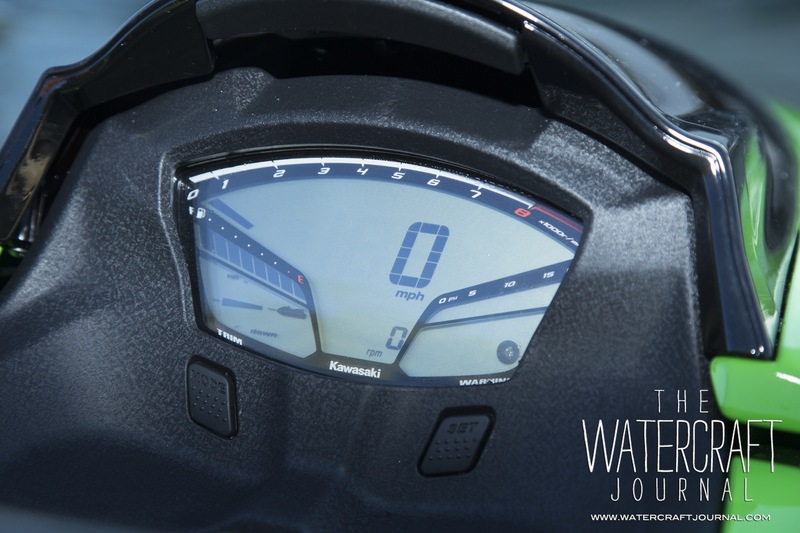 A fantastically easy-to-navigate LCD instrumentation allows you to shuffle through a fuel consumption calculator, external water/air temp gauge, clock, trip and hour meters, and max speed functions, in addition to a revised boost gauge and riding mode goggles. 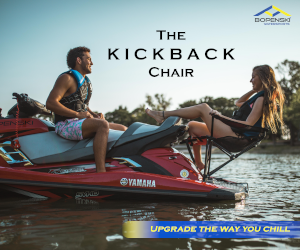 Building off of the renowned Ultra platform – first introduced (in this form) in 2007 as the 250X and the later-redesigned 300X in 2011 – the 310 series benefits from nearly a decade of race course dominance, as well as consumer class leading stability, storage and thrilling performance. That’s quite the résumé. So why wouldn’t Kawasaki leave well enough alone and refocus its efforts on something else? The narrow-contoured Sportseat is wrapped in grippy textured canvas for improved traction. The seat is supple and supportive and is a marked improvement. 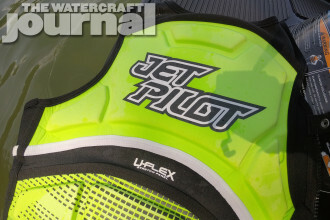 We noted the rear passenger strap ends with two flaps on either side covering a sharp-edged plastic fastener. These flaps need to be sown down to keep from scraping uncovered legs. 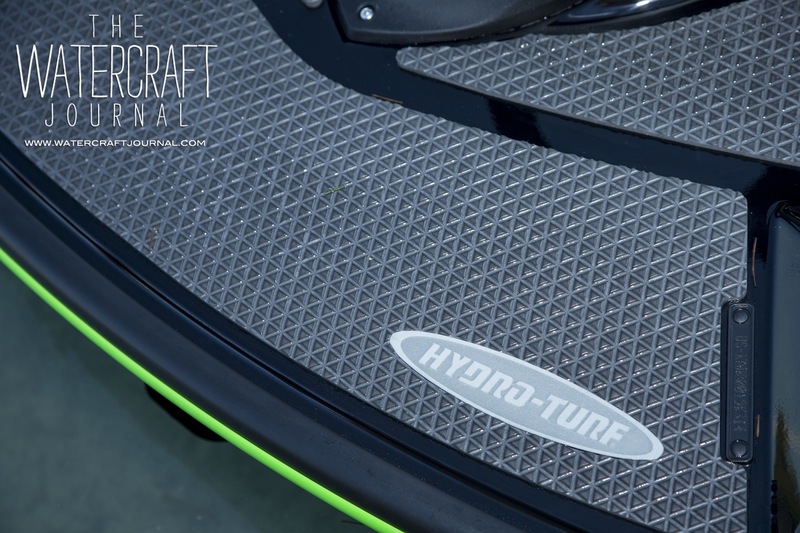 Externally, the changes of the 310R over the rest of the Ultra lineup are visible, but again, only if you’re looking for them (like this custom diamond patterned Hydro-Turf traction mat). Internally, it’s a different ball game. 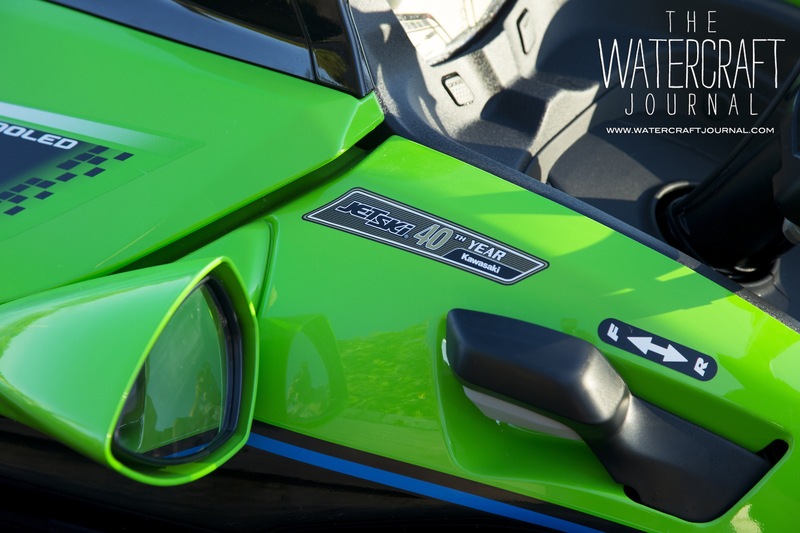 The 1,498cc, liquid-cooled inline four-cylinder plant spins out an industry-leading 310-horsepower thanks to drastically improving engine oiling, reducing heat soak and maintaining constant lower internal engine temperatures throughout the engine’s linear powerband. 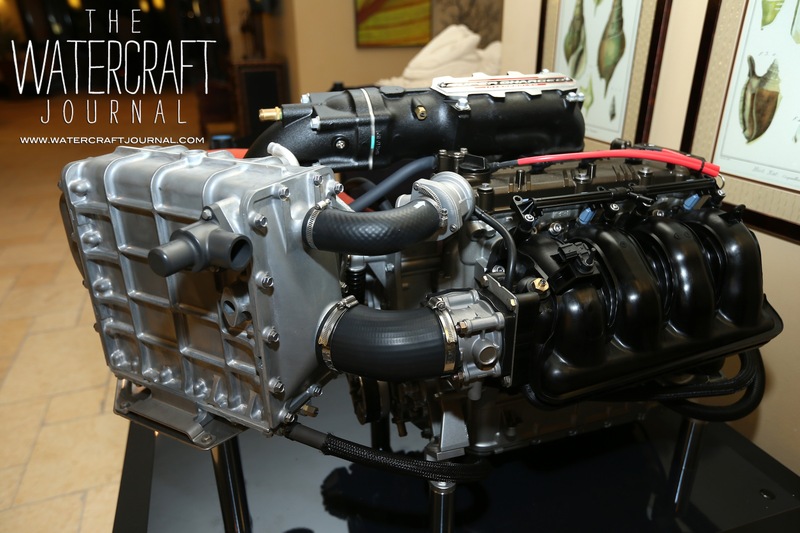 This was first achieved by re-engineering the crankcase with thicker water jackets, larger oiling passages for quicker oil return to the redesigned baffled pan that reduces oil windage and sloshing, and dual under-piston cooling oil jets (increased from one jet per piston to two). Speaking of the pistons, the new Ultra 310 gets new lightweight cast slugs featuring additional ring land V-grooves. 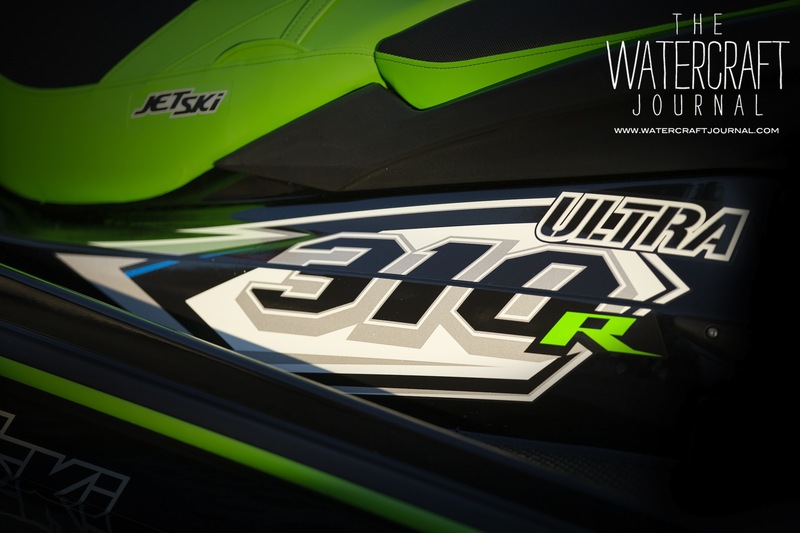 In the turns, the Ultra 310R’s steering response is immediate. 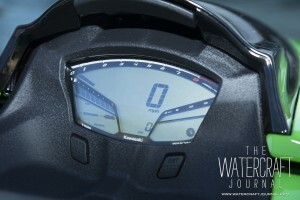 The hull reacts deftly to the tiller; the low, wide bars of the 310R aptly communicating the rider’s immediate commands. 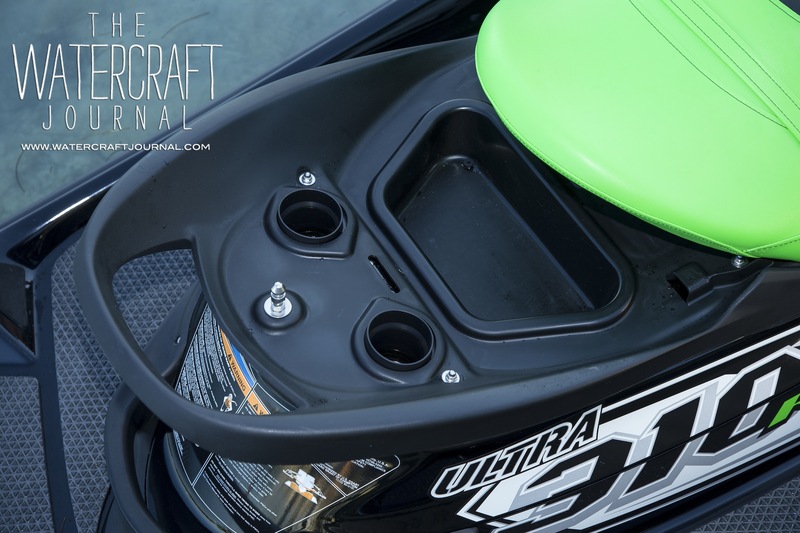 The Ultra 310R still touts some of the most voluminous storage (56 gallons worth). 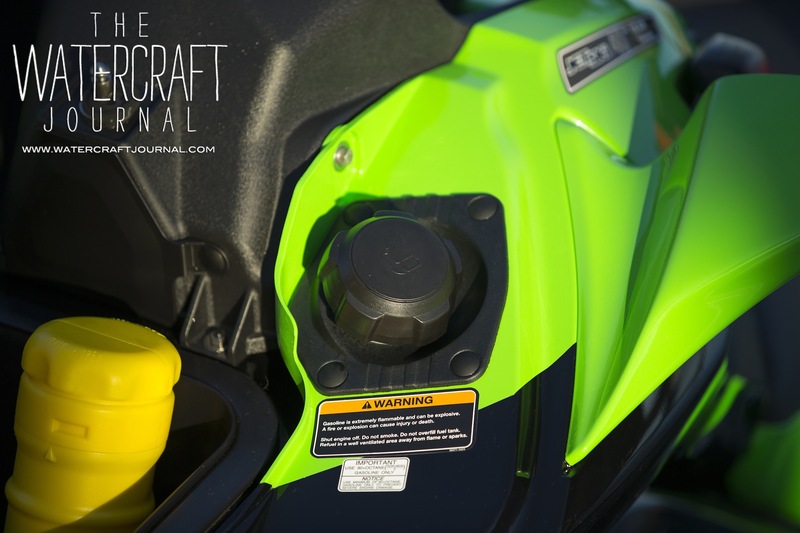 Kawasaki bumped up to a larger capacity fuel pump for improved fuel flow volume and 500cc injectors spraying into a brand-new long-runner intake manifold. 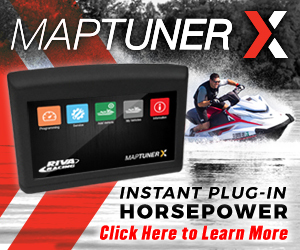 Made from heat-resistant plastic, the intake radically improves low-to-mid range power. 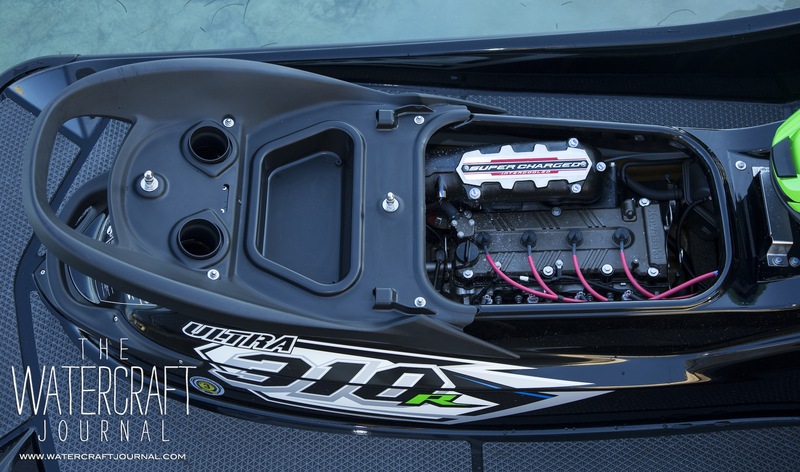 Fed by the same Eaton TVS constant-displacement, four-lobe supercharger as last year, the Ultra touts dual blow-off valves to siphon off any extra of its 17psi of boost when needed. The previous model’s liquid-cooled intercooler returns as well. But what isn’t mentioned is the return of the second waterbox. 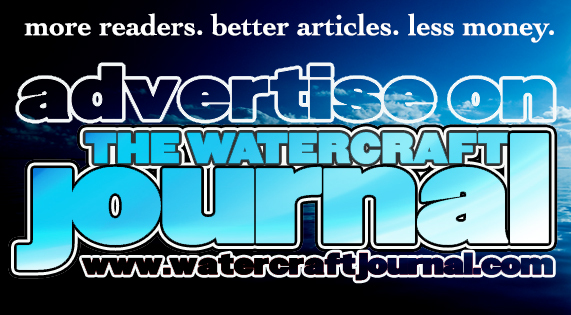 The original 250X touted dual waterboxes but was reduced to one for the 260X and 300X. The second muffler not only drops the decibel output, but also addresses the previous Ultra’s troublesome low speed list while turning. In fact, much of the aforementioned improvements came after studiously addressing consumers’ and technicians’ most reported issues with prior models. 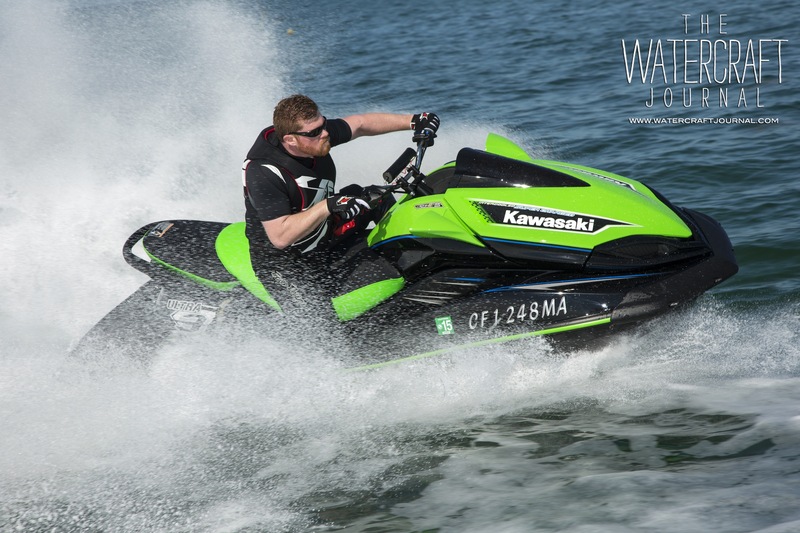 The biggest distinguishing feature of the 310R over the rest of the Ultra lineup are the electro-coated stainless steering neck and MX-style bars. Even with the sturdy steering neck replacing the plastic tilt steering, we noted a little play that could benefit from shimming up. The 310R is surprisingly unchanged from its siblings. 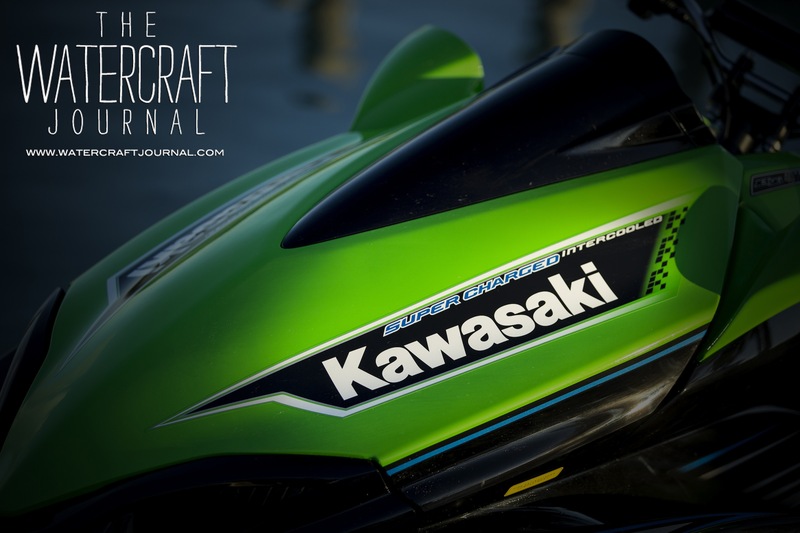 Rather, Kawasaki opted to leave well enough alone, as in its current form, the setup of 310R is nearly perfect for most offshore riders (as it was this group the limited-run 310R was targeted for). Overheating, burning and scavenging for oil, and even fuel over-consumption were mitigated with the above revisions. Even the large oil breather/catch can and articulated sprung belt tensioner are OE-level solutions first developed by the aftermarket. The large 160mm 8-vane pump also benefits from a repitched 3-blade, long-snout prop – also very similar to what tuners and racers use. 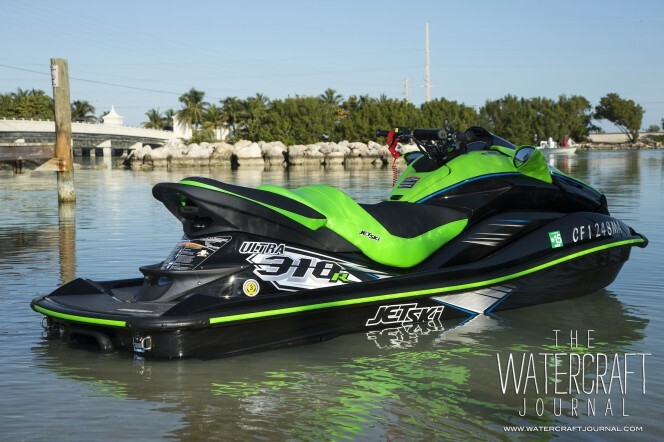 But all of these improvements are found across all of the 310 models, X, X SE, R and LX. What makes the 310R stand out among the rest? Well, if there was ever a personal watercraft that was specifically tailored to fit me – and lot of you who think like me – it would be the 2014 Kawasaki Ultra 310R. Other changes made to the 310 series from the 300X include a much-needed redesign of the passenger handrail, not only relocating the grip for easier, more ergonomically-friendly handling, but also has been narrowed so it won’t chafe inside of riders’ legs while riding standing up as before. Additionally, the mirrors have been replaced with more convex lenses. The Ultra series shows how a personal watercraft can be both a apt cruiser as well as an aggressive top performance vehicle. 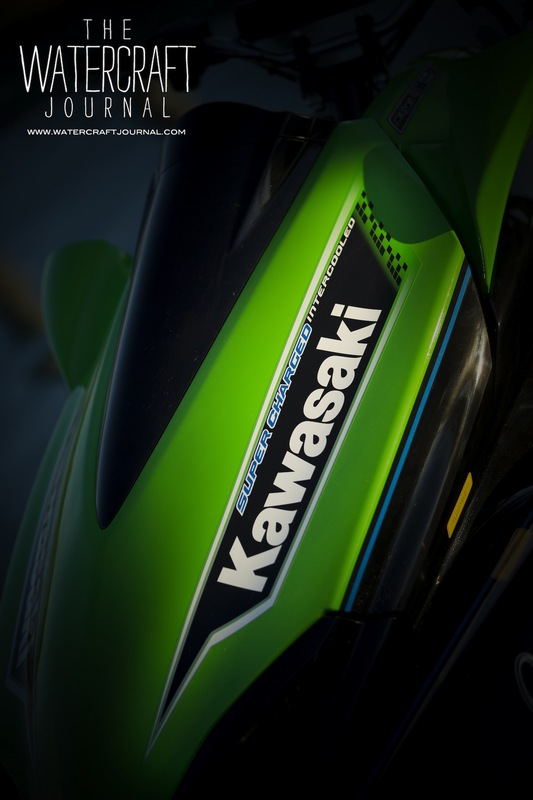 Back in a big way is Kawasaki’s signature Lime Green livery. It’s everything I would have ever wanted from the previous model – the seemingly unstoppable Ultra 300X. 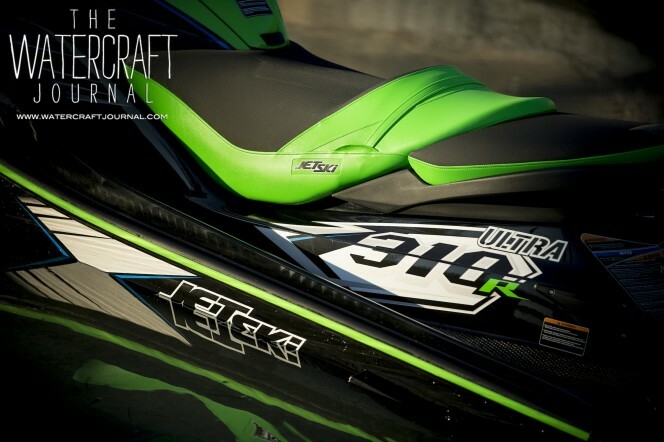 The Ultra 310R is the project ski I didn’t have to build. It’s got 99.9-percent of all the mods I would see myself bolting on a Saturday morning before giving it a right good flogging the next day. 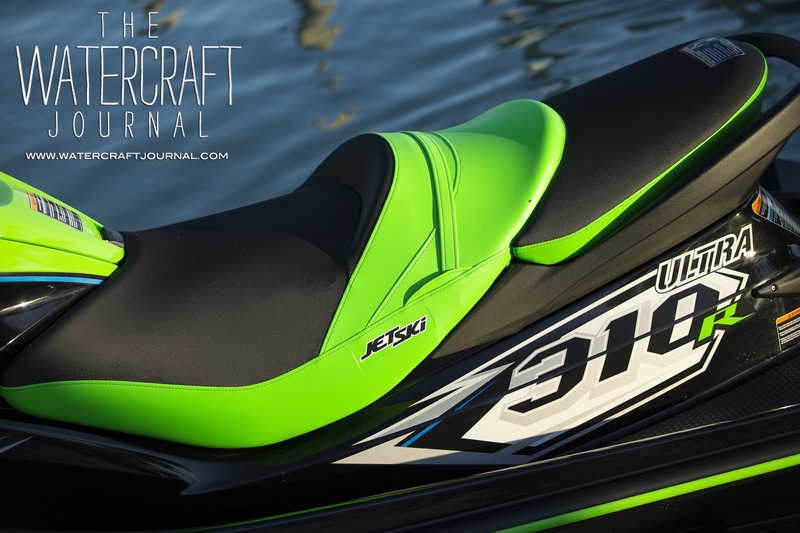 The 310R gains Kawasaki’s new Sportseat, wrapped in grippy textured canvas and a deep-grooved Hydro-Turf traction mat kit. Replacing the plastic tilt steering is a fixed electro-polished stainless steel steering neck and race-grade MX-style handlebars. These of course, can be adjusted fore and aft by loosening the hex head bolts with an Allen wrench. As always, it’s while in the rough stuff that the Ultra shines. 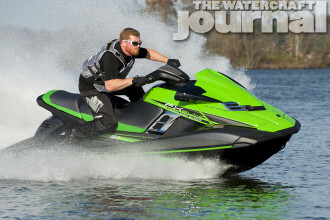 On the water, the 2014 Ultra 310R pulls with rotator cuff-tearing force. The Lincoln Tunnel-sized pump bites hard and remains loaded even while streaking over 2-to-3 foot Gulf Coastal chop. The fly-by-wire throttle response is immediate, almost precognitive. At speed, the supercharger whistles like a near-passing bullet. 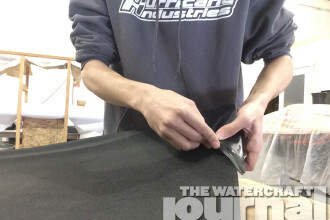 There’s no chatter of loose plastic or rattling, proof of superb fit and finish. I did note some definite reaction lag in the electronically-assisted trim control toggle. 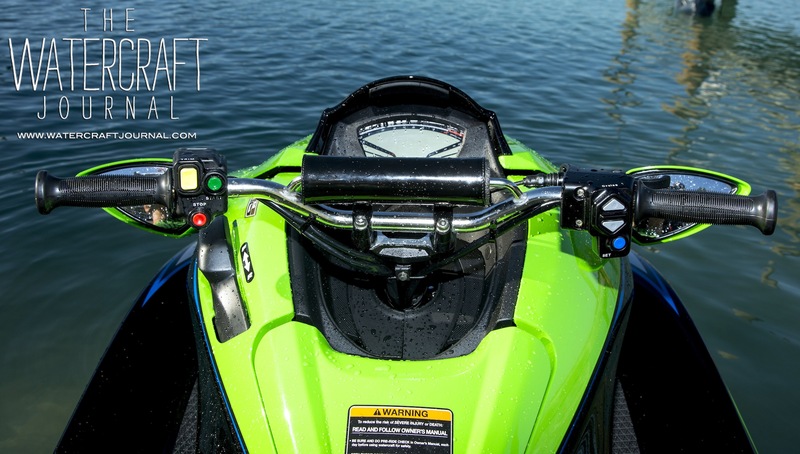 Like the Cruise Control button, bumping the trim up or down requires holding down it one or two beats for it to respond – which is difficult to manage while under throttle. Apart from these little quibbles, the Ultra 310R – and all of the 310-powered Ultras – adds up to quite literally the best runabout that Kawasaki has produced in its 40 years. 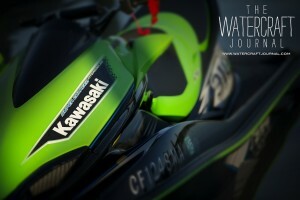 And Kawasaki’s 310R is the Ultra that guys like you and me have been waiting for.